Gym teachers and fitness center instructors can liven up the next group activity with this GameCraft® Plastic Floor Scooter. Young students can roll around during a variety of fun and imaginative activities while strengthening their leg muscles and improving their balance and coordination. 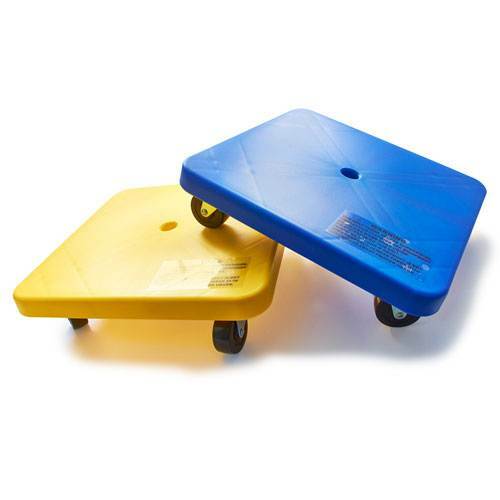 This board is built to withstand intense indoor play sessions thanks to the heavy-duty plastic construction, and the ball-bearing wheels make maneuvering the scooter a breeze.